It is estimated that all the clay on the planet, evenly spread out, would make a layer a mile thick - which is not surprising, given that clay is decomposed rock. What distinguishes clay from other types of "dirt" is particle size, as well as molecular and chemical properties. Size is very important: a grain of coarse sand falls through four inches of water in one second, a grain of silt takes five minutes, and a single grain of very fine clay can take up to 860 years! Clay is so slow partly because of shape as well as size - particles are thin and flat. Indeed, a single gram of clay can have a surface area larger than a football field. That flatness helps make clay plastic - flat surfaces make it easy for particles to stick, like two wet sheets of paper. In addition to size and shape, however, clay particles are also electrically charged, which means that they a tremendous capacity to attract and adhere to clay or other molecules (including water). All these properties make clay the wonderful, magical substance that it is. RESOURCE William Bryant Logan assembled these facts in a marvelous book of essays titled, Dirt, The Ecstatic Skin of the Earth. "Adsorption" and "Absorption" : two words that look alike, but their difference is critical in understanding the functions of clay minerals. Read below to discover how positively charged toxins inside your cells, can be either bound or magnetised, by the negatively charged clay molecules and taken safely out of your body. 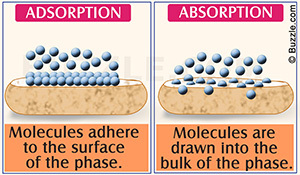 Adsorption characterizes the process by which substances stick to the outside surface of the adsorbent medium. The clay possesses unsatisfied ionic bonds around the edges of its mineral particles. It naturally seeks to satisfy those bonds. For this to happen, it must meet with a substance carrying an opposite electrical (ionic) charge. When this occurs, the ions held around the outside structural units of the adsorbent medium and the substance are exchanged. The particles of clay are said to carry a negative electrical charge, whereas impurities, bacteria, or toxins, carry a positive electrical charge. For this very reason clay has been used to adsorb the colloidal impurities in beer, wine, and cider. The impurities in wine carry positive charges and can be agglomerated (brought together) and removed by stirring a small amount of negatively charged clay material into the wine. The clay particles attract the wine impurities and they settle out together (flocculate). The process works the same in the human body. When clay is taken internally, the positively charged toxins are attracted by the negatively charged surfaces of the clay mineral. An exchange reaction occurs whereby the clay swaps its ions for those of the other substance. Now, electrically satisfied, it holds the toxin in suspension till the body can eliminate both. 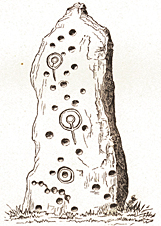 The term active, or alive, indicated the ionic exchange capacities of a given clay mineral. The degree to which the clay-mineral ions become active determine its classification as alive. Living bodies are able to grow and change their form and size by taking within them lifeless material of certain kinds, and by transforming it into a part of themselves. No dead body can adsorb. It is physically impossible. Absorption is a much more slow and involved process than adsorption. Here, the clay acts more like a sponge, drawing substances into its internal structure. In order for absorption to occur, the substance must undergo a chemical change to penetrate the medium's barrier. Once it has done that, it enters between the unit layers of the structure. Instead of the toxins, for instance, sticking only to the surface, they are actually pulled inside the clay. This is the reason why absorptive clays are labeled expandable clays. The more substances the clay absorbs into its internal structure, the more it expands and its layers swell. Any clay mineral with an inner layer charge is an absorbent. Having an inner layer charge means having charged ions, sitting between layers, that are surrounded by water molecules. In this way, the clay will expand as the substance to be absorbed fills the spaces between the stacked silicate layers. Some clays are more gentle in their absorption, whereas others are definitely more radical. Absorption takes place with clay when the clay draws particulates into its internals layered structure, much like a sponge. Clay minerals have an inner layer charge that acts like an absorbent and can absorb and bond with many elements that are toxic, both man-made and natural.